The new release 2.0 of objectiF RM, the tool for effective requirements engineering, comprises improvements of existing functions as well as new features for more comfortable and secure team work as well as for the entire Requirements Engineering process. Patterns is one of the numerous new features in objectiF RM 2.0. Patterns merge individual project elements and make them reusable at the push of a button. This means that reoccurring operations do not have to be set up from scratch each time. 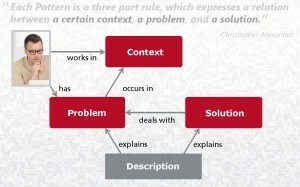 Instead, relationships with artefacts as well as the structure of requirements are stored in patterns. This way operations, relationships and company policies are factored in automatically, reducing time and work efforts. Questions like What is a stakeholder? How do we define quality requirements? What are surrounding conditions? can now be answered by taking a look at the integrated glossary. The glossary is easily accessible and easy to use, allowing for a uniform terminology within your project. Misunderstandings and uncertainties are a thing of the past. objectiF RM 2.0 also features integrated import functionality for in-STEP BLUE data. This includes requirements as well as the structure of files and directories. Artefacts created in objectiF RM can now be exported and then re-imported. Apart from these new functions a number of existing features have been significantly improved, affecting mainly the general usability and user-defined settings which are now permanently stored. File and directory management functionality includes more options, e.g. inclusion of empty directories during upload and the option to skip selected documents. States of all artefact types can be set via the context menu of the respective element. objectiF RM 2.0 is available now.